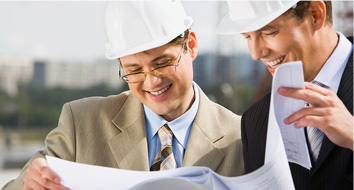 We are a well established Chartered Building Surveying practice and Design Consultancy, based in the West Midlands. Primarily we operate within the commercial and public sector, providing a broad spectrum of building consultancy, and full design services to building owners, occupiers, developers and investors. SBPC have affiliated offices in the South West and Birmingham. We offer our services both regionally and nationally. All projects are delivered with care, efficiency and reliability; customer rention is of prime importance and we have many long-term customers. A customer focused service. Our traditional professional services are combined seemlessly with modern technology, to provide reliable and approriate solutions. Independent and commercial accumen. With a depth of experience in property transition processes, SBPC is well placed to serve clients in a wide commercial and residential sectors. Reliability. Our experienced project management skills in the construction industry enable us to deliver reliable outcomes, with limited time and budget resources.